Maybe you’ve heard of “tap and pay” — the contactless payment technology that allows a customer to simply tap a payment device rather than swipe a credit card or push it into a card reader. Tap-and-pay technologies use radio-frequency identification, which can be embedded on phones, watches and other wearable devices. To communicate, the card and the retailer’s card reader must be within 4 to 10 centimeters of each other, says Phil Sealy, principal analyst at ABI Research, a technology market intelligence company. With digital wallets, the smartphone contains a pair of chips: one that accesses and encrypts the card information, and a near-field communication chip that transmits the card data to complete the transaction, Sealy says. According to pymnts.com, the move toward tap and pay is starting to gather steam. While contactless cards have been slow to take off in the U.S., the endorsement from Chase, the largest domestic card issuer, in November 2018 may help speed up adoption. Chase said it would be sending out contactless Visa Inc. credit cards beginning in the first half of 2019 and debit cards starting in the second half of 2019. Contactless cards are already popular in many international markets, but early efforts to gain traction in the U.S. were largely unsuccessful due to the complexities of merchant acceptance. Businesses initially weren’t keen on terminal upgrades that would have enabled them to accept early contactless cards, though many now can accept tap-and-pay cards via the new hardware they purchased to accommodate chip cards a few years back. Visa said more than half of all in-person transactions in the U.S. take place on a contactless-enabled terminal, even if they don’t involve a contactless card. Dan Sanford, Visa’s vice president, consumer products, told MarketWatch that he sees Chase’s adoption of contactless cards as the beginning of an industry move. Why Will Consumers Embrace It? 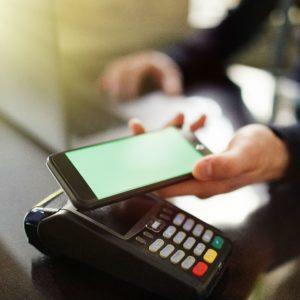 Beyond the convenience factor of being able to pay at the POS no matter what the technological limitations may be, the speed of tap-and-pay payments is about 60 to 70 percent faster according to Abeer Bhatia, president of Chase Card Services. Is Your Business Ready for Contactless Payments?